Did I tell you that I already got the best helper? I got her last July. She have two daughter, one is in Davao and the other one, I hired too. I planned on hiring another helper this year but I changed my mind. During the height of the typhoon and the flood, I realized that I have too many kids that I cannot take care of them in emergencies like that. And so, I asked my helper if we can have her second daughter with us. I was lucky that she was OK with it, in fact she has been contemplating about it. She is my 4th helper to date and she promised me that she will never leave me (I am positive about it). She is very responsible and I can leave the kids with her (yes even Sati) without worrying. I remember in my 3 other ex helpers, I badly want to install hidden cameras because I am so worried about the kids. Hidden Camera can give me an assurance that the kids are well taken care of. I know it is not good to know that you are being watched (unless of course you are in Big Brother’s house) but that’s the best option for me then. I am really grateful now that I don’t have to do it. Remember the flood that hit us all last September? When we thought it was all over, a new problem arises. We discovered that our water system is damaged. The pipes are leaking. The first month after the flood, our water bill increased. We though that it was due to the fact that our usage increased too. Then we learned that even if we are not using it, the water meter is running. Uh oh. And so to avoid unused water being charge to us, we have to turn off our water meter from time to time. I bought stainless steel drum so we can just store water on it.We would turn on the water supply for about an hour and fill the drums and turn it off the rest of the day. Good thing that after we complained about it to the house owner, they fixed it immediately. cSee the title of my blog? Make or Break. And did you noticed the tag line? Full time mom; part time worrier. Yes, I worry a lot. In fact, I even worry things that I should not. Then again, there were things that I was glad that I thought about it. Medical Alert is one of the best product for people like me. No, it is not something that will alert me if I started worrying. It is a gadget that can take some of my worries away. I sometimes think of my relative who is so old that she is already on the wheelchair. One time, she fell out of her chair and my other relatives only noticed it after a few hours. Good thing that the floor was carpeted and she was not hurt. What if she fall so hard? Medical Alert is the answer. 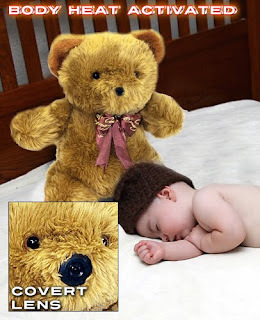 They got two coll products for grandparents and for older people. 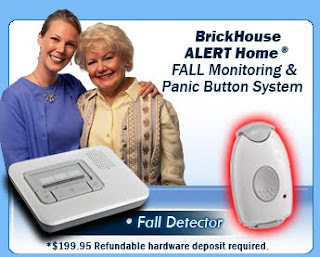 One of their product is the FALL ALERT. It detects fall and slips and when it happens it notifies people in the central monitoring station to send an emergency unit. Another on is the GPS Tracking Bracelet that functions like a cellphone. The user can call and ask for help. And if the user is lost, the location can e tracked through the bracelet. If ever I got to live as old as my relative, I would ask my kids for this gadget too.